Only opened and sampled one whiskey on Christmas Eve/Day. Remembered this as my favorite of these releases and must say I am still thinking so. A wonderful buttery creamy taste and feel over a Tyrconnel charchter with a nice touch of peat and a smooth but chewy whisp of smoke. Really enjoyable this evethough I'm no Tyrconnell fan and I always feel Connemara just does not hit these heights. A strange one as I see this as very different from Connemara although they are brothers (or should be). I hope your news isn't too bad and all will be good in time. I'm enjoying a Mano A Lámh since Christmas Day. I would like to try a few of yours. I haven't tried the An Pucan Teelings or the Cooley 1992 yet. Yes, best of luck for an improving New Year. Sincere thanks to you both. So far the fine whiskey seems to be preserving me! My my. Now where can one get a bottle of that fine spirit? Haven't had much whiskey over Christmas, but tonight it will be a Redbreast 15. And maybe a few others. Redbreast Mano a Lámh; Green Spot Leoville Barton; Powers Three Swallow; and of course the revered Irish Whiskey Society 18yo Single Grain Midleton! For New Year's, something special from the Jameson stable I reckon! I'm on the Redbreast Mano A Lámh. I cracked it open on Christmas Day and it'll be empty tonight. I'm sure that's excessive but I'll use the holiday season as an excuse. Trying the New edition Jameson caskmates. I preferred the first one but this is growing on me too. Good Whiskey Hunting wrote: Trying the New edition Jameson caskmates. I preferred the first one but this is growing on me too. I have Stout Edition and it is nice but I'm not bowled over by it at the same time. I had a drop of Lidl's Glen Orchy last night. A nice easy drinking Islay style whiskey which is quite acceptable. Well worth exploring I think. Has a sweetness to it (no over done though) and a nice creamyness to it also. It's the 2015 Version. The first edition was out in 2014. The easiest way to distinguish them was that the first one had a RED capsule and the current one is BLACK. I have the dregs of a red top left and it has a surprising amount of sediment. The Caskmates grows on me. Still tastes a little strange, though. I'm having some Green Spot Leoville Barton. 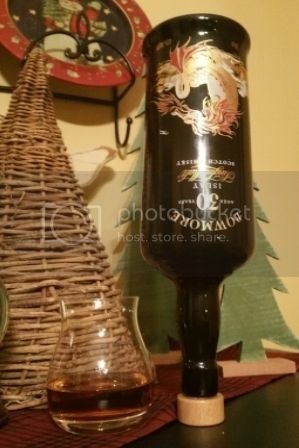 A beautiful whiskey, I'll never buy the regular one as long as this is available. I'm trying the Laphroaig Select. It's a completely different beast to the 10. Much tamer and gentle but can deny its pedigree. I've a quarter cask lined up for sampling in the next few days. An old Tullamore from John's Lane. It's my last one so I'm savouring it. I'd certainly be interested in thoughts from anyone who has had either of these. This is my first St Patrick's day off from work in 26 years. I'm have a nice Irish pale ale to accompany my Redbreast 12. Sláinte & happy St. Patrick's. For those not wanting to follow the link here is a pic. 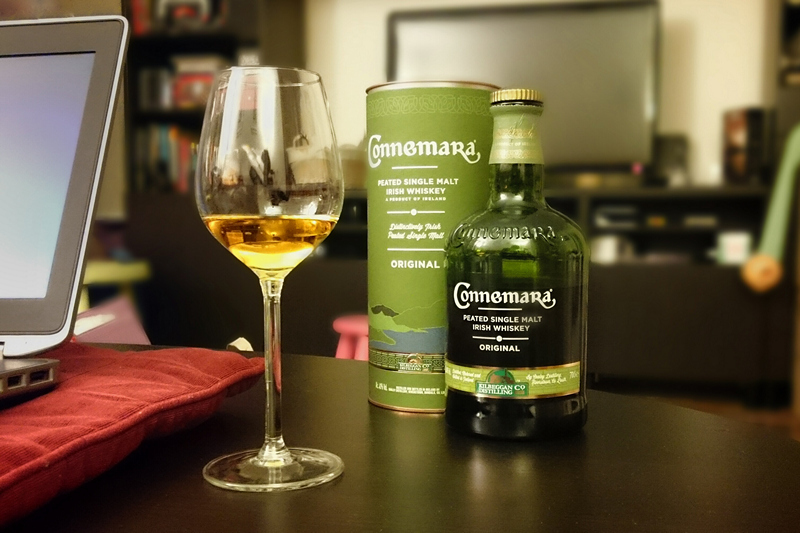 Having a dram of Connemara. Love this NAS whiskey, do you guys prefer the Distillers Edition or the 12 years old? I'm fond of the 12 myself, but have a regular for emergencies. Had a very enjoyable tasting with Ridge004 a little over a week ago. Highlights included the Teeling An Pucan, a Powers 16, a cask strength Irishman, and a Laphroig 15.